Julian has fifteen years experience in immigration law. After ten years working in private practice initially as a paralegal and then qualifying as a solicitor in 2007 (specialising in immigration law) she was called to the Bar in 2012. After being called to the Bar she has continued to build a practice in immigration and also extradition and regulatory work. She is registered to undertake Direct Access work and she is also a qualified mediator. Retained Worker Status: When Does An Eea Student Remain A Worker For The Purposes Of The Eea Regulations? Julian has worked in immigration law for fourteen years and is familiar with all aspects of immigration, including applications and appeals from the First Tier Tribunal to the Court of Appeal. 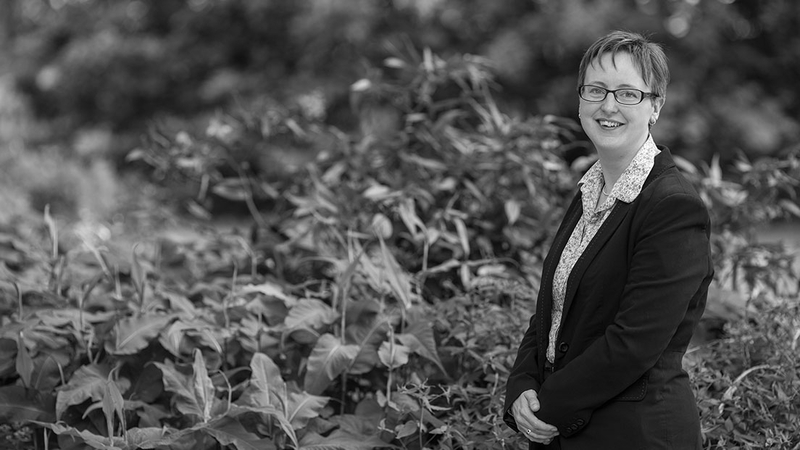 She is experienced in entry clearance, immigration, asylum, deportation and EEA work and she specialises in particular in family immigration appeals which have an Article 8 element. Julian also enjoys judicial review work, including fresh claims; unlawful detention; breach of human rights; fast track and securing emergency injunctions against removal. Julian also provides immigration training seminars and is available to bring these seminars to solicitors' firms. Julian has an increasing practice in extradition law which is complementary to her substantial immigration background. She is familiar with European Arrest Warrants, all elements of ECHR argument and in particular Article 8 appeals, and is able to represent both Requested Persons and Requesting States. In 2014 Julian was seconded to the Nursing and Midwifery Council where she appeared for the NMC in a wide range of hearings, and she has maintained a regulatory practice since then. She has experience of substantive hearings, interim order hearings and interim/substantive order reviews and has dealt with expert and vulnerable witnesses and a variety of legal issues. She has also gained significant experience in dealing with litigants in person. Julian is also familiar with the regulatory framework of other regulators. Julian appears for the prosecution and defence in all types of criminal matters in the magistrates and Crown Courts. Her knowledge of the intersection between immigration and criminal law means that she is able to provide a holistic service to foreign national prisoners. Her methodical approach has been praised by solicitors and clients. Kaftan v SSHD (unreported) - successfully argued that the appellant was entitled to refugee status on the basis of military service in Ukraine. SSHD v Tuan Ha - where a parent has a subsisting relationship with a qualifying child, s.117B(6) protects that relationship. Click here for Bailii report. Budathoki v SSHD - in assessing dependency of an elderly parent under the EEA Regulations, "it is not necessary that the person be wholly or even mainly dependent if a person requires material support for essential needs in part that is sufficient." The appeal was remitted and was ultimately successful. Click here for Bailii report. Liberman v SSHD - successfully argued that the First Tier Tribunal had applied the wrong standard of proof in an alleged sham marriage case under the EEA Regulations. Click here for Bailii report. SSHD v PF - successfully defended a decision allowing an appeal on Article 8 grounds where the appellant was HIV positive. Click here for Bailii report. Jiminez v SSHD - successfully challenged a First Tier finding of a sham marriage under the EEA regulations. The appeal was remitted and ultimately successful. Click here for Bailii report. NMC v H - secured a striking off order against a nurse who had been convicted of four counts of child neglect. See here for press report. 4. Should the government hold auctions for UK visas? •	BBC Learning, “Muriel Matters,” short film for children about the suffragette Muriel Matters and the legal minefield of direct action within the criminal law. First broadcast May 2012.